Excellent points. 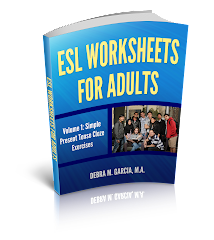 Partly as a result of privately tutoring advanced ESL students and running a bi-weekly conversation class, I developed the habit of preparing a worksheet of questions and quotations on numerous topics for my students. Students appreciated my efforts, and the abundance of materials that they could study on their own. This year, after switching to teaching writing at a Southern California university, I published 45 of my self-contained lessons in a book titled "Compelling Conversations: Questions and Quotations on Timeless Topics". 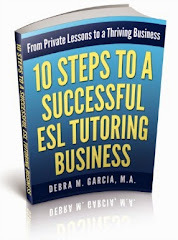 You can find several free lessons on the website www.compellingconversations.com to use in your tutoring and/or conversation classes. Topics range from "being yourself" and "pet peeves" to "spending money" and "movies." The most critical point, as noted by many educators, remains respecting the student's intelligence and tailoring the lessons to meet their needs and desires. Further, I suggest allow students to express their authentic opinions - even if they run counter to the conventional wisdom or political correctness. If you discuss crime, for instance, in Los Angeles, many students will say things that might make you blush. The trick, of course, remains asking better and sharper questions so they can reason their way out of bigoted perceptions and find more accurate - and polite - ways to express their ideas. I welcome candid discussions and let my classroom be a place where people can be themselves. The healthy dialog teaches students how to agree and disagree in a civilized manner.